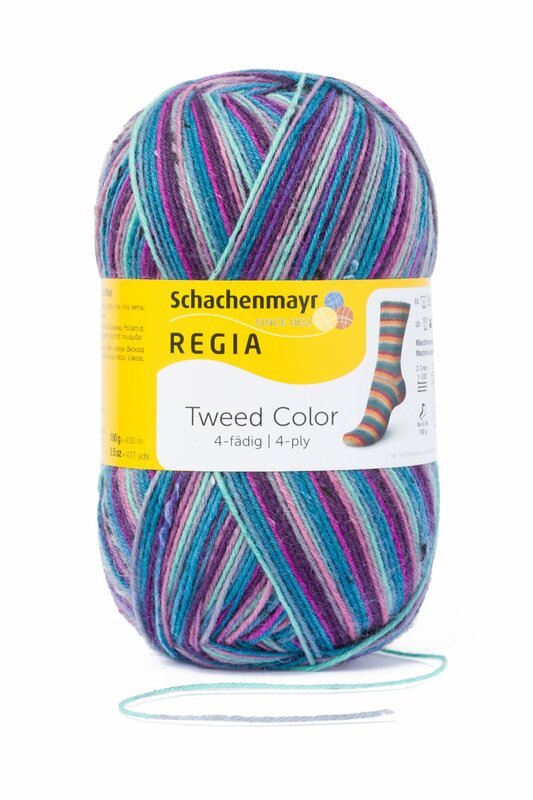 Now things are getting colorful! 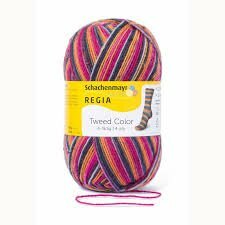 Today, the special character of Scottish tweed, with its colors and the small irregularities of the original hand-process, are popularly copied in machine-made yarns, often emphasized by the typical small, colored flecks. 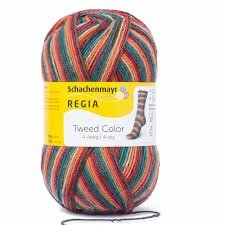 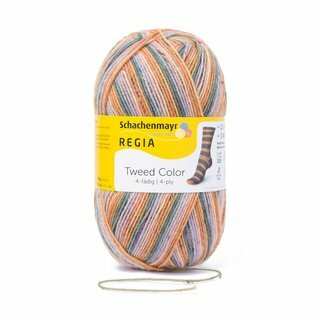 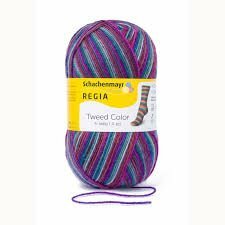 This is also true for REGIA Tweed Color, which combines the fantastic color effects and typical appearance of classic tweed. 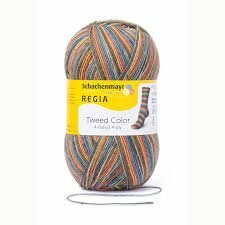 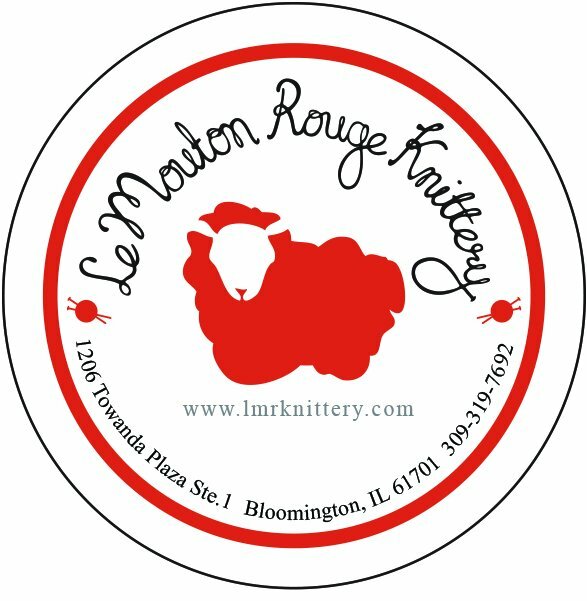 This 4-ply yarn has excellent shape retention, offers long-lasting wear, and will not felt. 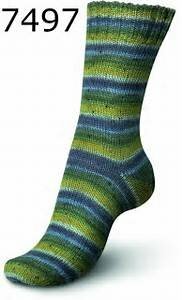 It is machine washable, up to 100° F (40° C), and can be machine dried.